Corner Ribbon Brush Pack - Free Photoshop Brushes at Brusheezy! Give your website design a little edge with these new Corner Ribbons Brushes! Have a sale or highlight a new item on your website or blog with these corner highlight ribbon brushes. Included in this brush pack are eighteen blue 'new' corner ribbons, 'sale' ribbons, 'hot', 'discount' ribbons, even 10% - 60% off ribbon brushes! 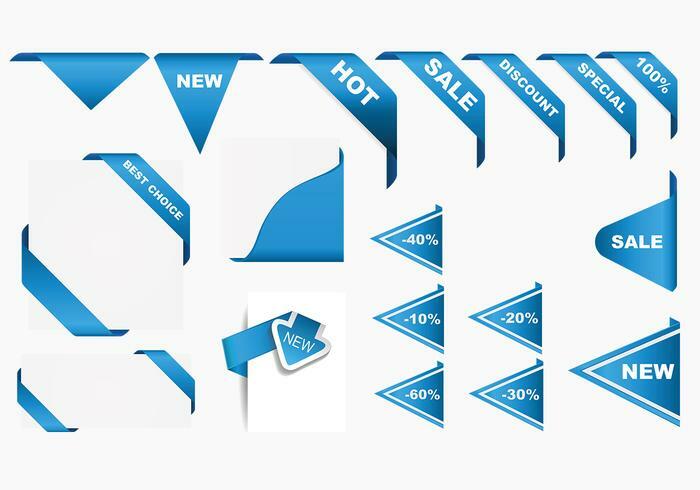 If you'd rather have the ribbon vectors, just make your way on over to Vecteezy and download the <a href="http://www.vecteezy.com/Web-Elements/35372-Corner-Ribbons-Vector-Pack-/premium">Corner Ribbon Vector Pack</a>!